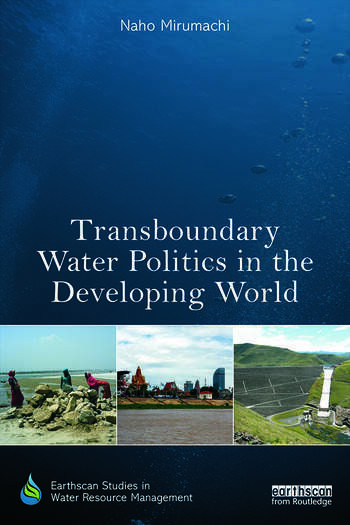 This book examines the political economy that governs the management of international transboundary river basins in the developing world. These shared rivers are the setting for irrigation, hydropower and flood management projects as well as water transfer schemes. Often, these projects attempt to engineer the river basin with deep political, socio-economic and environmental implications. The politics of transboundary river basin management sheds light on the challenges concerning sustainable development, water allocation and utilization between sovereign states. Advancing conceptual thinking beyond simplistic analyses of river basins in conflict or cooperation, the author proposes a new analytical framework. The Transboundary Waters Interaction NexuS (TWINS) examines the coexistence of conflict and cooperation in riparian interaction. This framework highlights the importance of power relations between basin states that determine negotiation processes and institutions of water resources management. The analysis illustrates the way river basin management is framed by powerful elite decision-makers, combined with geopolitical factors and geographical imaginations. In addition, the book explains how national development strategies and water resources demands have a significant role in shaping the intensities of conflict and cooperation at the international level. The book draws on detailed case studies from the Ganges River basin in South Asia, the Orange–Senqu River basin in Southern Africa and the Mekong River basin in Southeast Asia, providing key insights on equity and power asymmetry applicable to other basins in the developing world. Naho Mirumachi is a Lecturer in Geography at King's College London, UK.